I am a Photographer and in this digital, social networking world that we live in I work equally hard to protect my intellectual property as I do in creating it. That is why I never upload my images to sites that do not expressly recognize my copyright or attempt to devalue it with their own terms, and I advocate all media and content creators do the same. 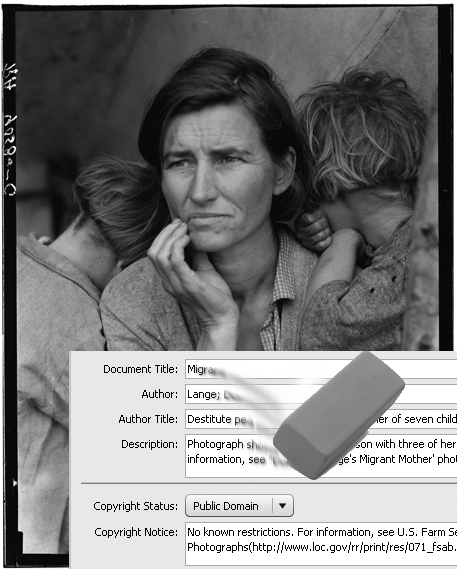 The following is an article written by David Riecks, leader of the Photo Metadata Project, reposted from the Library of Congress’s Signal blog with permissions, that highlights some of the dangers inherent in posting your images to social networks. Storing information about your images inside the image itself provides a number of useful benefits. Digital photographers may refer to this as embedded photo metadata or just metadata for short. For professional photographers it’s an easy way to let potential publishers know they took the photo and how to contact them.